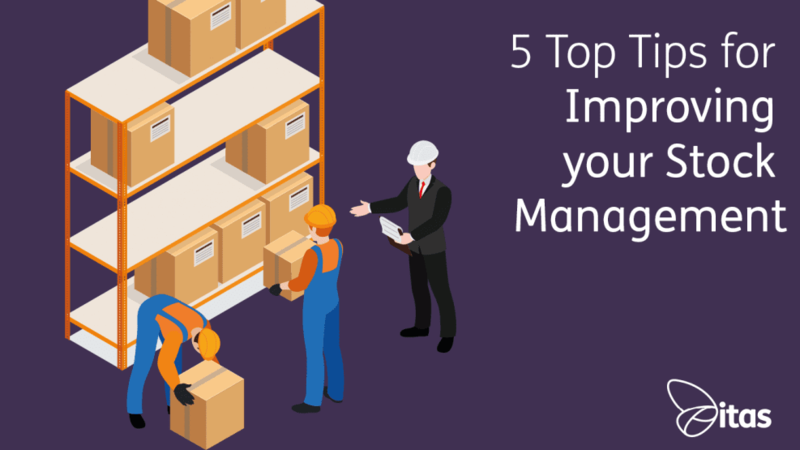 In this blog, I will be covering my 5 top tips for improving stock management. There is no ‘one way’ to manage your stock. You will probably find that it is a struggle to find a stock tracking solution that is both simple and complex enough. 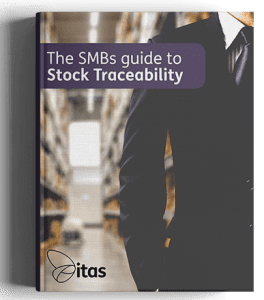 Before we get started, we have a free Stock Traceability ebook for SMBs available on our website, it’s great for people who need some guidance with their current stock traceability systems but also for complete beginners who are finding it hard to know where to begin. If you’re interested, click here to download your free copy! So, lets dive into my top tips in a bit more detail! Turn your customer satisfaction into customer delight and turn data into invaluable information with reporting software. An example of this would be a repeat customer that you may have let down in the past. Use this information as an opportunity to provide top-notch customer service, pop a note into their next order thanking them for sticking with you or tell them that you appreciate their repeat orders with you. Use your digital software to make real and genuine connections with your customers. There may be other data you’d like to track, depending on your business or industry. For example, the process your items undergo before a sale such as gift wrapping or quality control checks. By adding your employee’s details to your system, you can track the staff who prepares the order, making them accountable for the items. This doesn’t just need to be for negative purposes, such as quality issues or wrong items but also for praise, such as rewarding those with the most accurate orders, for example. Handling small items at high volumes, such as nuts and bolts can be quite a complicated task when it comes to tracking stock. A simple solution, such as assigning a serial number to a batch rather than an item will give you the traceability you need. Nobody wants to manually enter details of every product into their system, but they do want to identify their products quickly. I’d like to think you would agree with this… However, if I approached this differently and asked, ‘Are you thinking of using barcodes for your stock management?’ you may be more hesitant to respond as quickly or simply. Essentially, I am asking you the same question because barcodes eliminate the need to manually enter your product details and also help you identity your products quickly, yet for some reason it sounds more intimidating. Barcoding technology is very readily available, eliminates human error and is easy to use. If you add serial number tracking, you can trace your products through your supply chain, in and out of your inventory. When paired with barcoding you will be able to find their exact location within your storage facilities. This solution could save you so much time, your stock takes would be much more accurate and as a result, you will have a powerful system in place. Make sure your locations are labelled clearly and are used efficiently. If you find yourself hunting for the products despite having a system in place, then there is something wrong with your locations. Some solutions can be to reorganise your locations, or perhaps you may need to consider the possibility that your business has out-grown its current space. We are big fans of Sage. We know the system inside out, it is the system we have the most experience with. If you’re looking for a digital solution to help you manage your business, we’d have to recommend Sage 200c. Sage 200c is a powerful business management solution, ideal for growing business, and guess what? It’s not just an accounting software. With Sage, you can store unlimited supplier and customer contact details, with full control over ensuring their information is stored correctly. You can store their telephone number, address and website. This will allow you to both, get to know your clients better and improve your business through accurate cash flow reports, as well as seeing your budgets for up to five years. You’ll be ready for an unexpected expenses or delays so that your cash flows and keeps on flowing! As well as the above, you get access to Sage Pay and Sage Payments. With this you can monitor your cash flow and have the confidence to know that your suppliers will be paid securely, on time and accurately. You can easily adjust your pricing, apply discounts or promotions for multiple customers. Sage 200c’s Commercials module handles stock and supply chain management, automates your product demands, plans your delivery dates and allows you to re-order stock. If you’re a global company, you might also like the Overseas orders feature, which will help you price your stock in any currency. Now, after all that raving about Sage, we’re convinced you’ll love it as much as we do! So why not find out for yourself? Click here to request a free, no-obligation demo!